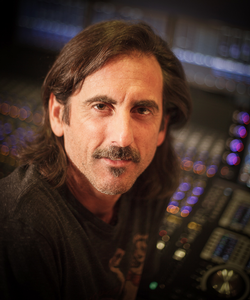 Secondary Affiliation: Calliope Music Design, Inc.
Tim Gedemer, founder and owner of Source Sound, is an award winning, 30 year veteran of the Hollywood audio post production community. His work concentrates on Music, Sound Design, Sound Supervision and Sound Editorial services. Source Sound provides high level conceptual sound design, post sound supervision from blank page through design and to final mixing and print mastering. Tim's work covers a diverse array of projects; from music videos for Beyonce, to AAA games such as Call of Duty, to blockbuster movies like The Watchmen, and 100s of AAA feature film trailers. Tim recently formed Calliope Music Design in 2013 to provide music to the feature film, television, game and feature film marketing arenas.